Mornington is a town which is situated near a sea. 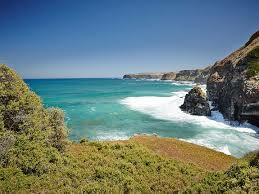 It is a part of the country Victoria, Australia. The postcode of Mornington is 3931 and it’s Geo location is Latitude: -38.227708333333 and Longitude: 145.06036333333. The total distance that the town holds from the central business district of Melbourne is around 57 kilometers. It is located on the southern part of the central business district. Shire of Mornington Peninsula serves as the local government area of this town. The town had its first post office inaugurated on the 21st of May, in the year 1856. The name of the post office was Schnapper point, but later the name was changed to Mornington due to some political reasons. The year in which the name was changed was 1864. The two major features which tend to distinguish this town from others is its village-like atmosphere and alleviating beaches. For the longest time, Mornington has served as a major tourist attraction in the country. In fact, most of the times the residents of Melbourne can be seen paying a visit to the town’s lovely wineries and beaches. The center point of the town includes within the local beach and foreshore area. The town center is home to some beautiful tourist points, which include various parks with a separate playground for kids, restaurants and the famous yacht club. There is no doubt about the fact that people from all corners of the country visit this town for an amazing shopping experience. It provides people with a chance to shop and at the same time enjoy their meals at the cafes and restaurants nearby. On the northern part of the town, there are numerous stables as well as horse breeders. The town is home to some extremely well-designed gardens, parks, a modern era’s library, cinemas, and numerous rich historical sites as well. The government of the town allows people to visit the historical buildings without any restrictions being imposed. Every year, the town arranges various festivals for its people. While on the other hand a market day is held on every Wednesday, it is arranged on the main street in order to cater to the needs of the crowd. At Dinas Estate Agents, we practice what we preach. We are active property investors ourselves and have been for over 20 years.